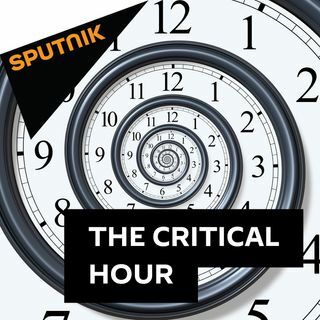 On this episode of The Critical Hour with Dr. Wilmer Leon, the U.S. Agriculture Department announced today a $12 billion package of emergency aid for some of the victims of President Trump’s escalating trade war. This is clear evidence that Trump failed to really think this one through and it’s an additional tax on American citizens since it’s tax payers dollars that are being used to fund it. As others have reported, a Missouri nail factory is laying off people because of tariffs on ... See More imported steel; Harley-Davidson plans to move some production to Europe in response to retaliatory tariffs; soybean farmers face a loss of income resulting from new Chinese import taxes and have come to Washington to lobby for relief. Are the trade war and the jingoistic saber-rattling rhetoric of the Trump administration tied together? Later in the show, all eyes are on Charlottesville, VA. It’s been a year since hundreds of white nationalists and neo-Nazis, turned violent and left one counter-protester Charlottesville resident Heather Heyer dead after James Alex Fields Jr. who has ties to white supremacist groups drove into a crowd of counter-protesters and injuring 19. The organizer behind last year's deadly Charlottesville rally Jason Kessler has withdrawn his petition to hold a "Unite the Right" anniversary event next month after the city of Charlottesville denied his request to hold a rally on Aug. 11 and Aug. 12, according to local news outlet WCAV. With that year-long view, is Trump’s drawing a moral equivalence between the neo-Nazis who planned the rally and the counter-protesters continuing to resonate within our politics? Dr. Gerald Horne - Moores Professorship of History and African American Studies. Wes Bellamy - Charlottesville City Councilor, Former Vice Mayor of Charlottesville.